This solid resin award measures 105mm high. Antique bronze with gold detail. 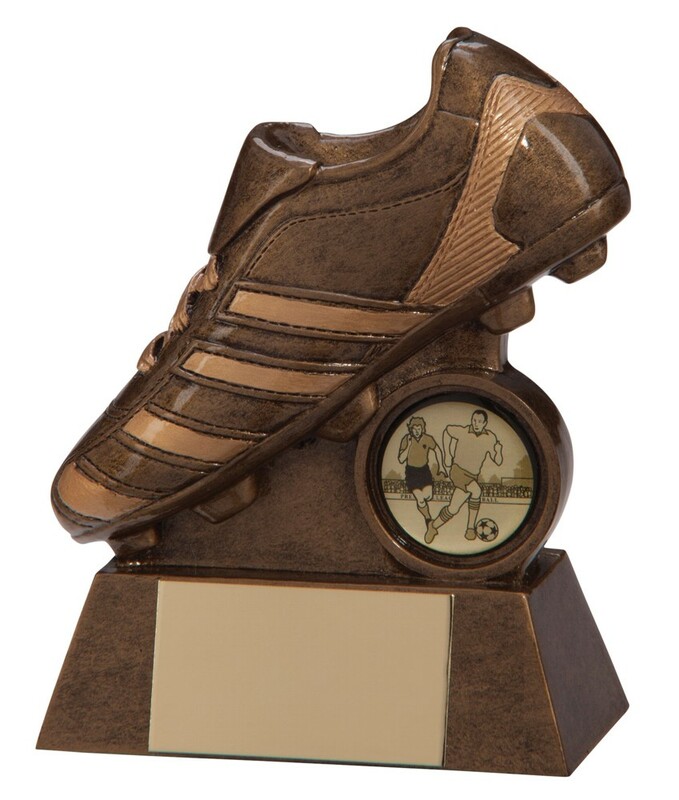 A great heavy football boot trophy.